Hachiko: A Dog's Story is a 2009 American drama film based on the true story of the faithful Akita Hachikō. It is a remake of the 1987 Japanese film Hachikō Monogatari. It was directed by Lasse Hallström, written by Stephen P. Lindsey and stars Richard Gere, Joan Allen and Sarah Roemer. The first foreign premiere was on August 8, 2009, in Japan. To date, the film has opened in over 20 countries over the past year and continues to open in foreign territories throughout 2010. In the United States, the movie was first shown at the Seattle International Film Festival on June 13, 2009. Sony Pictures Entertainment decided to forgo a U.S. theatrical release and is sending it straight to DVD in the USA on March, 9, 2010. According to the Odeon Cinema website the film will be given a UK theatrical release on March 12, 2010, courtesy of Entertainment Film Distributors. Box Office Mojo reports that total foreign box office has reached $41,492,583 as of April 4, 2010. Based on a true story from Japan, Hachi: A Dog's Tale is a moving film about loyalty and the rare, invincible bonds that occasionally form almost instantaneously in the most unlikely places. In the modern day, a class full of young students is giving oral presentations about personal heroes. A boy named Ronnie stands up and begins to tell of 'Hachiko', his grandfather's dog. Years before, an Akita puppy is sent from Japan to America, but his cage falls off the baggage cart at an American train station, where he is found by college professor Parker Wilson (Richard Gere). Parker is instantly captivated by the dog and when Carl, the station controller, refuses to take him, Parker takes the puppy home overnight. His wife Cate (Joan Allen) is insistent about not keeping the puppy. The next day Parker expects that someone will have contacted the train station, but no one has. He sneaks the pup onto the train and takes him to work, where a Japanese college professor, Ken, translates the symbol on the pup's collar as 'Hachi', Japanese for 'good fortune' and the number 8. Parker decides to call the dog 'Hachi'. Ken points out that perhaps the two are meant to be together. Parker attempts to play fetch with Hachi, but he refuses to join in, whilst Cate receives a call about someone wanting to adopt Hachi. However, after seeing how close her husband has come to Hachi, Cate agrees that they can keep him. A few years later, Hachi and Parker are as close as ever. Parker however, is still mystified by Hachi's refusal to do normal, dog-like things like chase and retrieve balls. Ken advises him that Hachi will only bring him the ball for a special reason. One morning, Parker leaves for work and Hachi sneaks out and follows him to the train station, where he refuses to leave until Parker walks him home. That afternoon, Hachi sneaks out again and walks to the train station, waiting patiently for Parker's train to come in. Eventually Parker relents and walks Hachi to the station every morning, where he leaves on the train. Hachi leaves after Parker's safe departure, but comes back in the afternoon to see his master's train arrive and walk with him home again. This continues for some time, until one afternoon Parker attempts to leave, but Hachi refuses to go with him. Parker eventually leaves without him, but Hachi chases after him, holding his ball. Parker is surprised but pleased that Hachi is finally willing to play fetch with him but, worried he will be late, leaves on the train despite Hachi barking at him. At work that day, Parker, still holding Hachi's ball, is teaching his music class when he passes out from cardiac arrest. At the train station, Hachi waits patiently as the train arrives, but there is no sign of Parker. He remains, lying in the snow, for several hours, until Parker's son-in-law Michael comes to collect him. The next day, Hachi returns to the station and waits, remaining all day and all night. As time passes, Cate sells the house and Hachi is sent to live with her daughter Andy, Michael, and their new baby Ronnie. However, at the first opportunity, he escapes and eventually finds his way back to his old house and then to the train station, where he sits at his usual spot, eating hot dogs given to him by Jas, a local vendor. Andy arrives soon after and takes him home, but lets him out the next day to return to the station. Hachi begins sleeping under a broken train carriage, keeping vigil during the day and surviving off food and water given to him by Jas and the local butcher. One day, a man named Teddy, a newspaper reporter, enquires about Hachi and asks if he can write a story about him. People begin to send money to Carl to buy Hachi food. Ken, Parker's friend, reads the article, and offers to pay for Hachi's upkeep. He realizes that although it has been a year, Hachi wants to, and has to, wait for his master, and wishes him a long life. Years pass, and still Hachi waits. Cate visits Parker's grave, where she meets Ken, and she says that even though it has been a decade, she still misses him. Arriving at the station, she is stunned to see Hachi, old, dirty and weak, still maintaining his vigil. Overcome, Cate sits and waits for the next train with him. At home, Cate tells the now ten-year-old Ronnie about Hachi. That night, Hachi makes his way to his usual spot, where he lies down and falls asleep for the last time, dreaming of Parker, where his spirit get along with Hachi, as they both ascend to heaven. Ronnie, back in his classroom, finishes his report, telling his classmates that Hachi, for his love and loyalty, will forever be his hero. That afternoon, he walks his own Akita puppy named Hachi along the same track his grandfather once walked with his own Hachi. 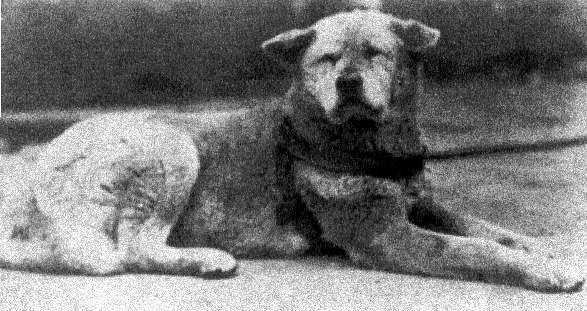 The real Hachiko was born in Odate Japan in 1923. 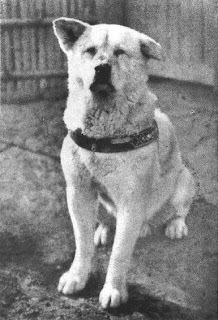 When his master, Dr Hidesaburō Ueno, a professor at the Tokyo University, died in May, 1925, Hachi returned to the Shibuya train station the next day, and for the next nine years, to wait. Hachiko died in March, 1935. 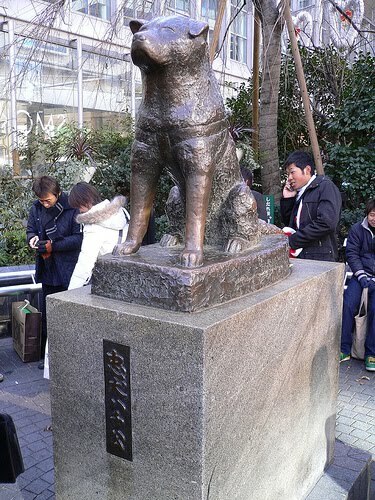 Today, a bronze statue of Hachiko sits in his waiting spot outside the Shibuya railroad station. nakakaiyak tong story na to, lalo na cguro kung yung japan version. Man in the Mirror - Krissy and Ericka Cover! unang blog. unang sulat. 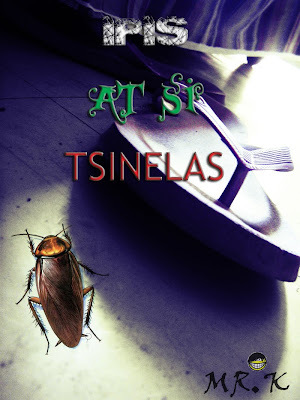 wala lang naingget lang ako sa mga ka friendster ko. may mga blog sila kaya eto gawa na din ako.. hehe! welcome sa aking mabagsik na blog.